Welcome to Rita Bay’s month of Holiday Celebrations. The whole blog has been refurbished with a holiday decor to celebrate the December Holidays. 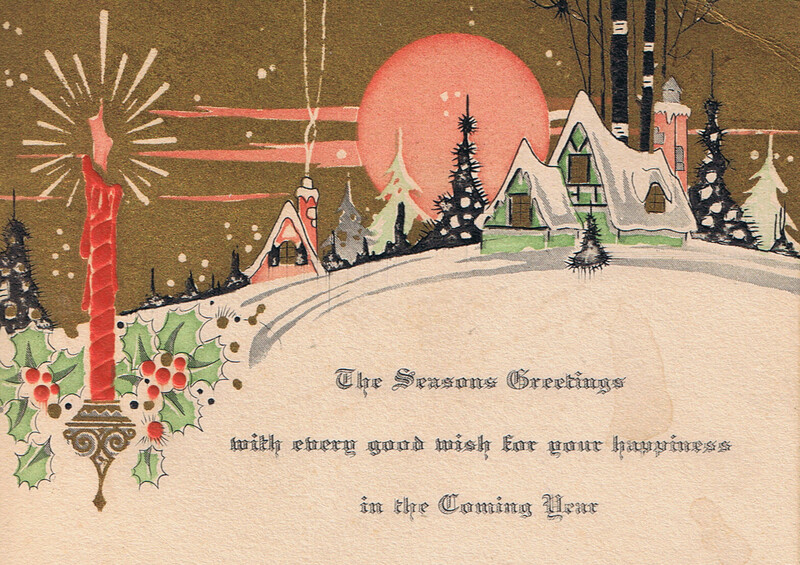 Each day guests will be treated to century-old vintage holiday postcards (from my packrat family’s stash), classic pics, and other treats that scream Christmas. But, as always, there’ll be loads of info you won’t find any other place. Guests bloggers will take you into the past–ancient Scotland, Medieval England, and Regency Britain–to celebrate Christmas. Test recipes from the kitchens of the past (a centuries-old Spice Cake to die for) and the present (a decadent guilt-free, low-carb dessert). Finally, we’ll look at Christmas in its historical context. Besides the Christian celebrations, we’ll check out ancient pagan celebrations that predate Christmas, like the Romans’ Saturnalia and the Celtic Winter Solstice. Then, we’ll move to more modern, non-religious holidays like Kwanza, Boxing Day, and Festivus. Visit Rita Bay’s Blog each day to see what’s happening. Sounds like you have a full, busy month planned out for you!! Wow. I love looking at old cards. To me they have a lot more class then the ones we buy today. I look forward to coming to your blog to see the new card.